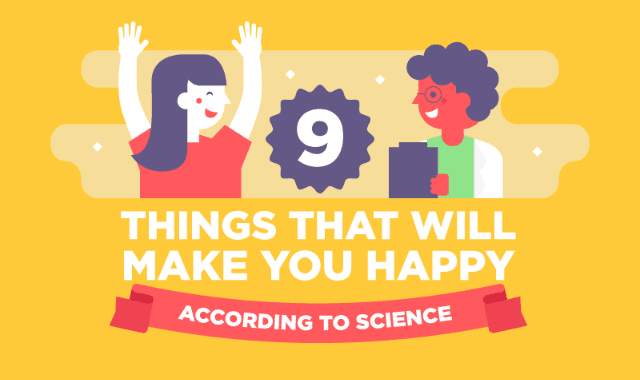 9 Things That Will Make You Happy, According to Science #Infographic ~ Visualistan '+g+"
Our new infographic shares nine misery-busters, backed-up by science. Not all of them might work for you, but from listening to your favorite music to eating more fruit n’ veggies, there’s no harmin trying. Happiness is both a state of mind and a wellness of body, and the first step is taking positive action to try and bring those warm feelings into your life.